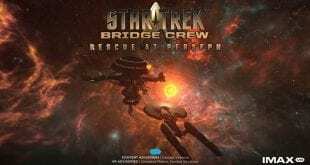 Unfortunately, Star Trek: Bridge Crew is no longer on the list of upcoming games for this year. Ubisoft gave an announcement on its blog that they are delaying the virtual reality game in order to “deliver the best game experience possible at launch”. This game was announced for Oculus Rift, PlayStation VR, and HTC Vive at E3 2016. Our first look at the game is by the reveal trailer. Granting us our first look at the game being played by Star Trek actors Levar Burton, Jeri Ryan, and Karl Urbam, while its director Brian Tate explained the game in more concise detail. The original release date was announced in August, which is November 29.